Next month, in support of Women's History Month, the 1,000 Dreams Fund (1DF) is launching its Streams for Dreams program in partnership with live streaming service Twitch. The brand new charity effort is designed to support female content creators and raise awareness about the gender gap in funding for young women in the gaming and broadcasting space. 1DF is introducing the Twitch BroadcastHER Grant, which will directly benefit women who create content. The Streams for Dreams charity event will be featured on Twitch and begins on March 1 and will go all month. The charity event will team up with some of the most popular ladies on Twitch today. As an incentive for donations, 1DF will be offering T-shirts and other items for donors. Some of the featured female broadcasters include Friskk, Gillyweedtv and theluckmusic, with more to be announced over the next few weeks. "As an organization committed to all dreams, we are excited to partner with members of the Twitch community on this amazing new campaign,” says 1,000 Dreams Fund founder and CEO Christie Garton. “The initiative will not only raise critical funds, but will also boost awareness around the shortage of support for these creative young women in the digital broadcasting space." 1DF is also announcing the launch of 1,000 Dreams Fund's Twitch BroadcastHER Grant, which has been created to specifically help female streamers and content creators transition their passions into fruitful careers. All of the charitable donations raised duyring the Stream for Dreams event will go directly to female broadcasters through this brand new funding program. Grants will range from $500 to $2,000 and will be awarded to women creators in 2018. These grants include support for equipment upgrades, travel to conferences, workshops, and more. "1DF's vision for their Streams for Dreams initative is inspiring since it aligns perfectly with Twitch's mission to help creators make a living entertaining and educating their fans," said Andrew Schroeder, Director of Charity Partnerships at Twitch. "The event will elevate the importance of greater gender equity during Women's History Month and is a wonderful opportunity for members of the Twitch community to engage with this issue, while giving back through 1,000 Dreams Fund's Twitch BroadcastHER grant." Twitch streamers can make a great living, but women across all social platforms face unique challenges like financial funding and the continued push for respect for their talents. This goes beyond streaming in a lot of ways with many women across industies fighting for equal pay for equal work. "Many of the problems women face are because of lack of respect," says Twitch broadcaster Tina “shadowfoxx086” Degenhart. "But gaming is just another platform that we shouldn’t shy away from. The industry won’t understand how to treat women if we don’t show them how to treat women." 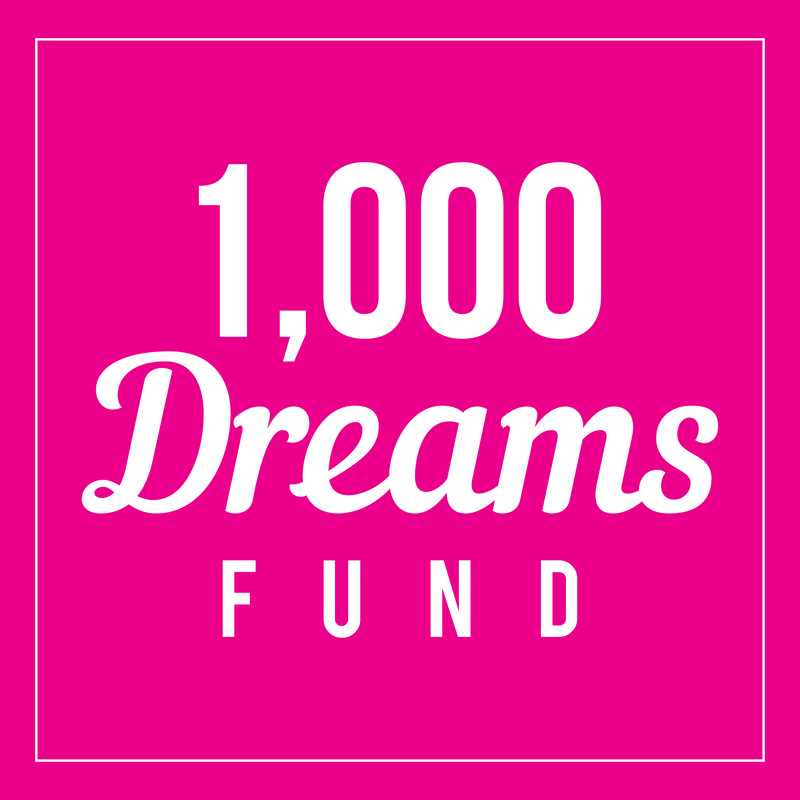 1,000 Dreams Fund has given more than $100,000 to more than 100 women since their launch in late 2015. We are excited to see how this Streams for Dreams charity event shapes up next month. Check out the official Streams for Dreams website for more information. Twitch has certainly become much more socially active this year with their Black History Month stream series coming to a close next week.